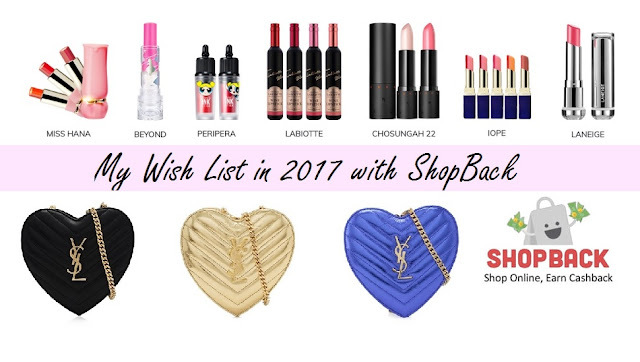 What's in My Wish List in 2017 with ShopBack? I guess you might have been heard about ShopBack before. So do you know what is ShopBack exactly about? 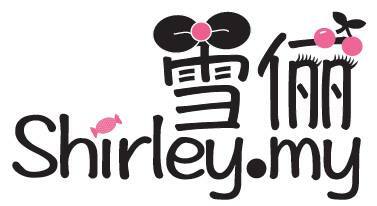 It's the first online cashback or rebates site in Malaysia. It gives you cashback for your online purchases, especially on top of the many discounts available when buying from an online retailer. ShopBack has over 500 partnering merchants including Lazada, Booking.com, Qoo10, ZALORA, Foodpanda, Uber and more. It is then cash out easily to your local Bank account. ShopBack now presents in five other countries include Singapore, Philippines, Indonesia, India and Taiwan. Do you know how ShopBack works? Click here to get the steps in detail. Watch video to understand further. I got myself a long wish list for this year, 2017. Luna 2 Holiday Set (Bespoke T-Sonic Skincare Collection) is actually a facial-cleansing device which I have wished to own it for a long time ago. This device is designed to provide a professional standard of skincare with its invigorating two-minute ritual. I am quite impressed with its high-technology Anti-Ageing Mode where the cleanser directs lower-frequency pulsations to wrinkle-prone areas to help smoothen lines for firmer-looking skin. This is one of the high-technology skincare device which a girl must have in order to keep the skin young and smooth effectively. However, the device is quite pricey and it is not affordable to me. But it's ok, let me put this in my wish list and maybe I could get one for myself in the future. I wish to own all of these pretty lipsticks in one goal! Due to financial constraint, I would need to work harder to earn more in order to buy them all. The moment you open your makeup box and see all the wonderful lipsticks in it, it can make my life a colorful one. Collection of sport shoes are one of my hobby. Thus, I wish to own three of these pretty shoes branded Nike. It is Nike Air Max 1 edition. These colors are super cool and I couldn't resist myself from owning them! Recently I have been addicted to Saint Laurent's luxury hand bags. The hand bags are in love shape and this is the reason why I am so in love with it. The most craziness of me is that I really really wish that I can get all of the 3 colors (black, gold and blue). I know I am too greedy but I could not stop my desire after all. I am thinking to add on a new lens for my camera. 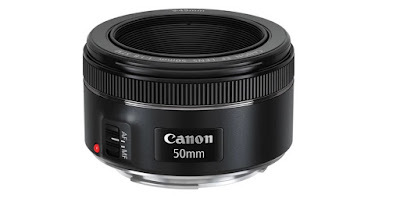 I found the 50mm F1.8 STM lens is quite cool enough for me as I use to take a lot of photos during my review sessions. It has an optimized lens coatings, STM AF Motor supports movie servo AF, having the function of manual focus override, and metal lens mount. It has maximum aperture at f/1.8 and minimum focus distance at 14". This is exactly what I am looking for. I wish to check into the hotel at Maldives for a month. Who doesn't dream of going for a long holiday at Maldives? Maldives has known as the most romantic place to visit and it is also the most expensive and luxury place to go. Thus, I decide to put this plan into my wish list on this year so that I can really work hard to achieve this later. I have spotted this amazing hotel in Maldives which I would like to stay at if I am travelling to Maldives. 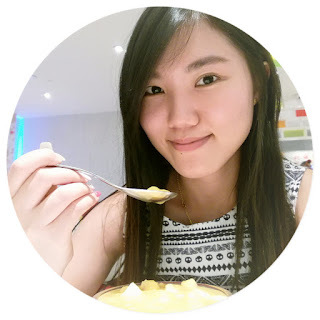 I have been doing a research on Expedia's website and its price per night is RM5113.00. It is seriously an expensive rate but this is somehow we should stay a good life as a human being in the world. Heels~~~~~~~❤! Girls love heels, so I do! 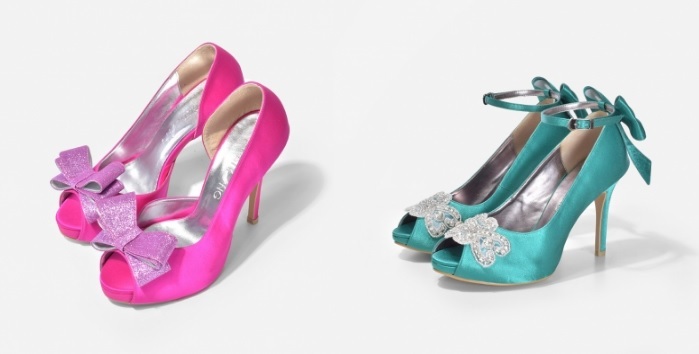 ChristyNg is a shoe brand which I always wish to grab some pretty heels from. It is uniquely designed and I am pretty sure that it would look great on me. Let me introduce you with my dream's heels. - 4” heel with 0.5” platform approx. Don't wait anymore, sign up for ShopBack now with my code to earn some cashback through any of your online purchases.